But the poor say it’s come at a cost to them as some are pushed out of their homes to make way for Olympic infrastructure and buses are re-routed from slums to prevent those who live there from accessing “upscale areas”. The Olympics touch mostly the wealthy areas south and west of the city, where the real estate market was booming until a few years ago. But across town in crumbling, working-class areas, there are few signs that the Rio de Janeiro Olympics open in just a month. Rio’s northern favelas, the city’s infamous slums, underscore the vast gap between the rich and poor — the white, brown and black, in a divided city. About 10,500 athletes and up to 500,000 foreign visitors are expected to descend on the city for the games. Few will see the real Rio, where the poor are being pummeled by Brazil’s worst recession since the 1930s, soaring crime and unemployment over 10 per cent. Most can’t afford an Olympic ticket or a $US100 souvenir soccer ball emblazoned with the Olympic logo. Australia and several countries have instructed their athletes to stay away from favelas. Maria da Penha is bitter. Her home in a favela abutting the Olympic Park, known as Vila Autodromo, was demolished to make way for new construction. “For me the Olympics were awful,” said the 53-year-old, who led a year-long eminent-domain battle against Rio Mayor Eduardo Paes. 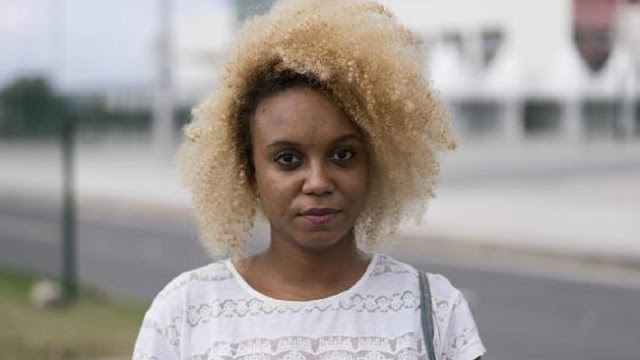 Raquel Oliveira, a 25-year-old publicist, spoke while waiting for a bus on a busy road in front of the Olympic Park. She complained bus routes have been changed, reportedly a security move to make it difficult for criminal gangs to access upscale areas. “In reality, it didn’t change for the best because a lot of bus lines got cut,” she said. Rio’s organisers have budgeted about $US2 billion ($A2.67 billion) for operations. In addition, another $US10 billion-$US12 billion in public and private money is being spent on urban transportation projects driven by the Olympics. Rio has installed new high-speed buses and a light-rail system to serve downtown. And there’s a still-unfinished $US3 billion subway line extension to connect the upscale Copacabana and Ipanema beach areas with the western suburb of Barra da Tijuca — site of the Olympic Park. It’s unclear if the subway line will be running when the Summer Games open on August 5. The public-works splurge has generated civic pride, suspicion and some anger. “The Olympics are bringing an incomparable legacy, in regard to the changes in the city’s infrastructure,” said Marco Araujo, a 48-year-old badminton coach speaking outside the Olympic Park. A bike lane, suspended high above the sea and built as an Olympic legacy project, collapsed in April and killed two.